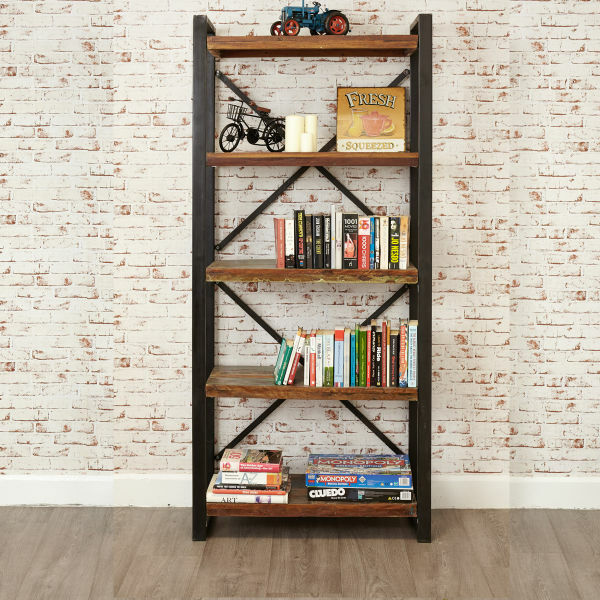 The hardwood used to create the contemporary style Urban Chic large bookcase with storage has been reclaimed and upcycled from Southern India and still bears colouring and markings from it’s past. 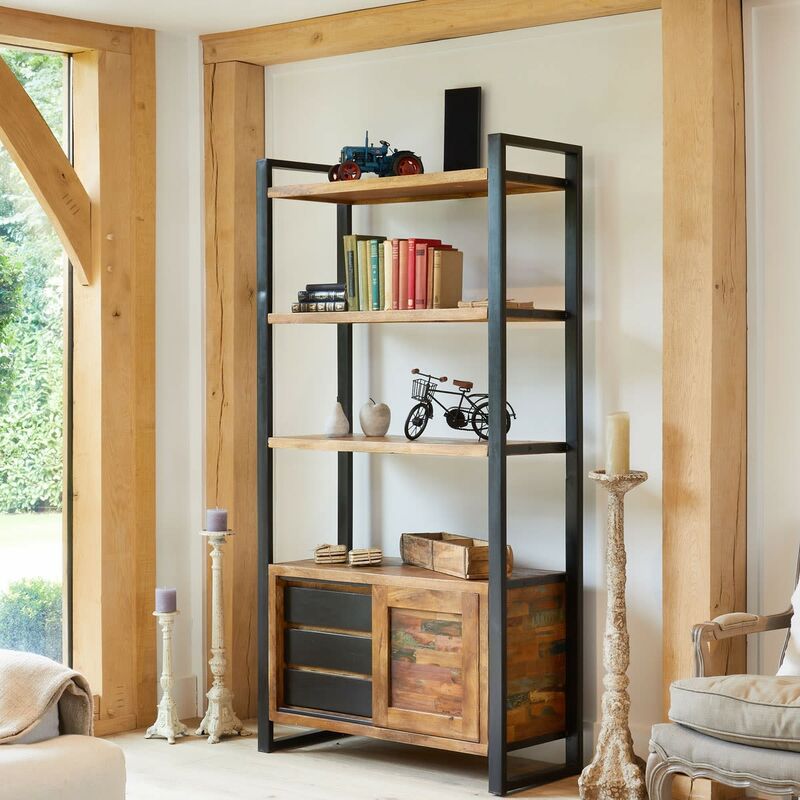 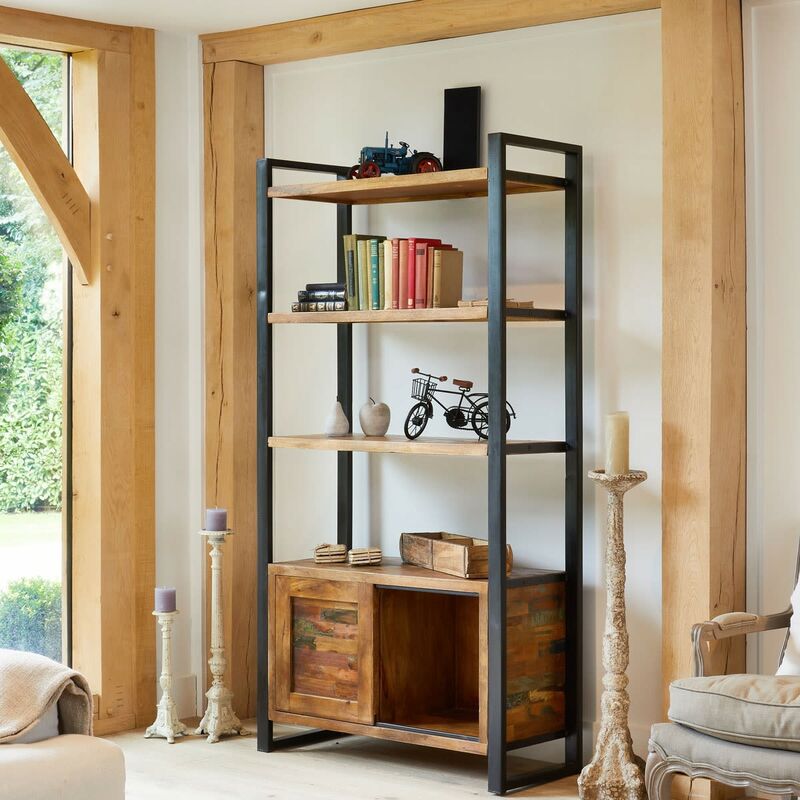 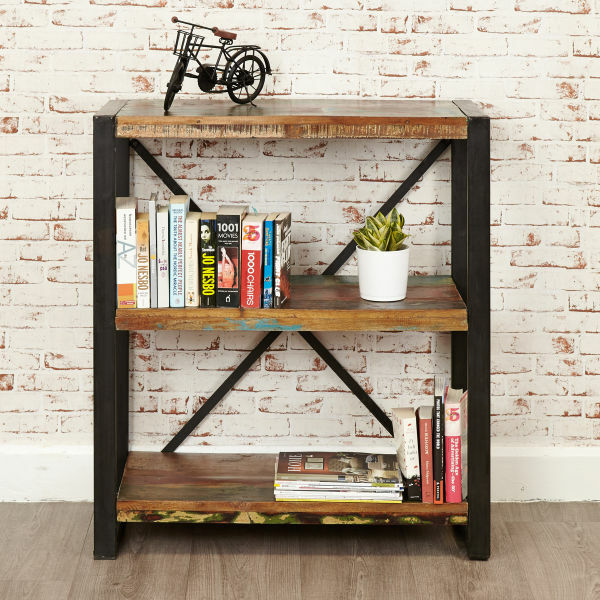 The stunning bookcase is a truly individual piece of furniture where the recycled wood is combined with an industrial steel outer frame. 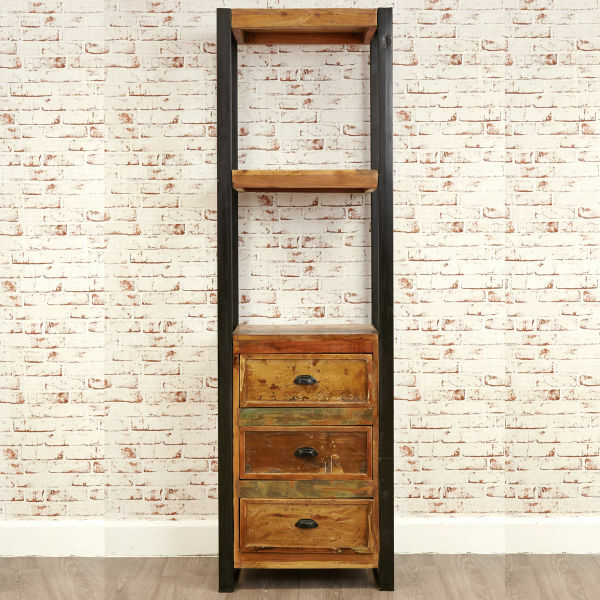 The unit offers plenty of practical storage with four shelves, three drawers and a cupboard with a sliding door. 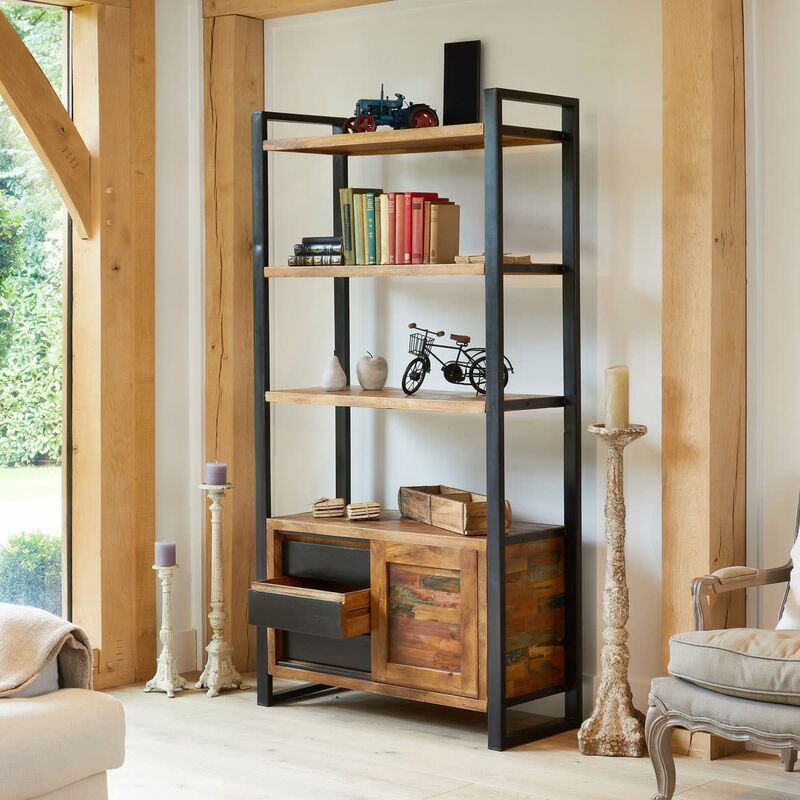 The large bookcase would give an urban edge to any living room or home office. 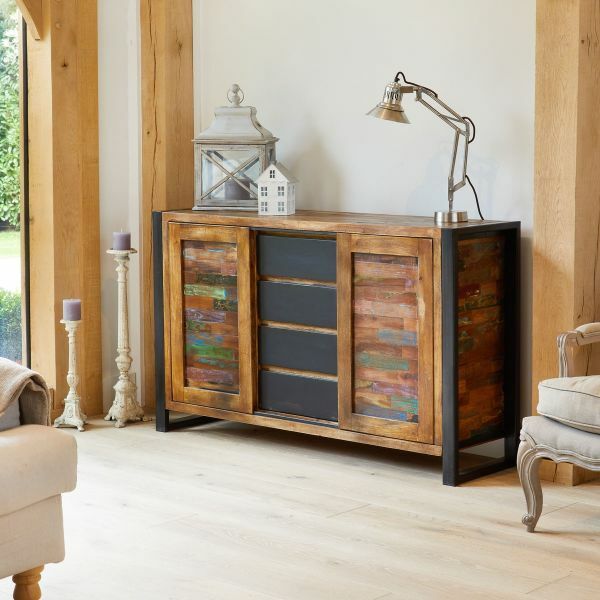 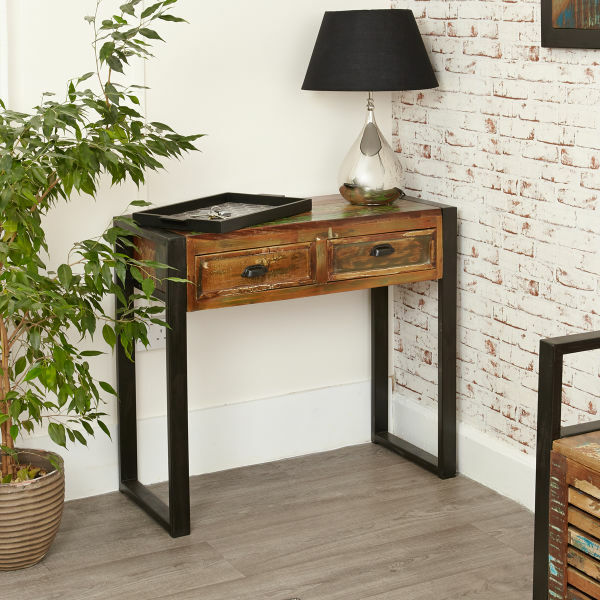 The Urban Chic Collection includes coordinating TV cabinets, coffee tables and sideboards.